bKL was invited by the Chicago Architecture Foundation (CAF) to participate in its Between States exhibition as a part of the Chicago Architectural Biennial. 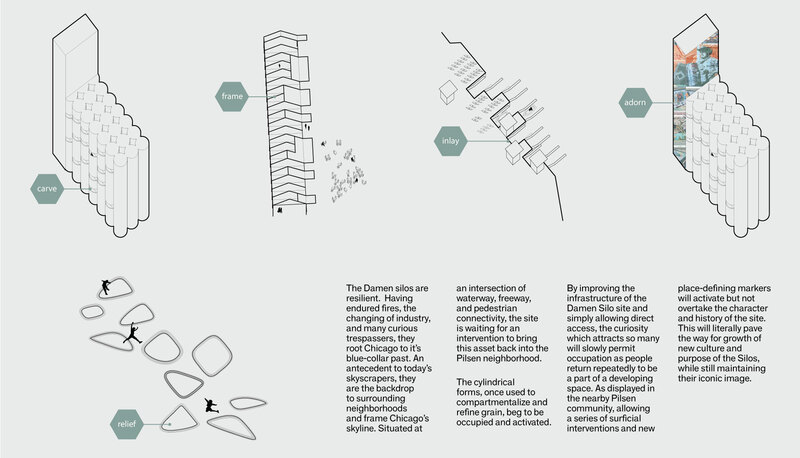 Tasked with identifying an “unappreciated physical asset in one of Chicago’s 50 wards” and imagining “a process of transitioning it to an economic catalyst,” bKL selected the Damen Silos within Ward 25. 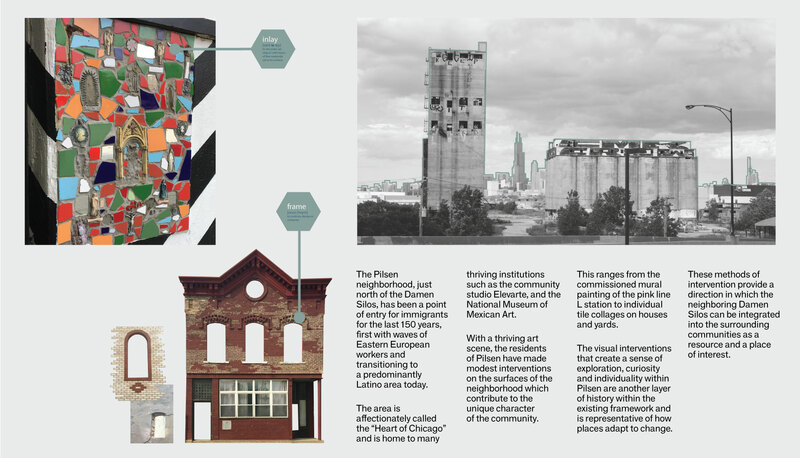 The Damen Silos are located just south of the vibrant Pilsen neighborhood. Situated at an intersection of waterway, freeway, and pedestrian connectivity, the site is waiting to be revitalized and utilized by the supporting community. Pilsen’s artistic intervention influenced the bKL team. Inspired by local surface treatments, a series of applications and new place-defining markers activate the character and history of the site. 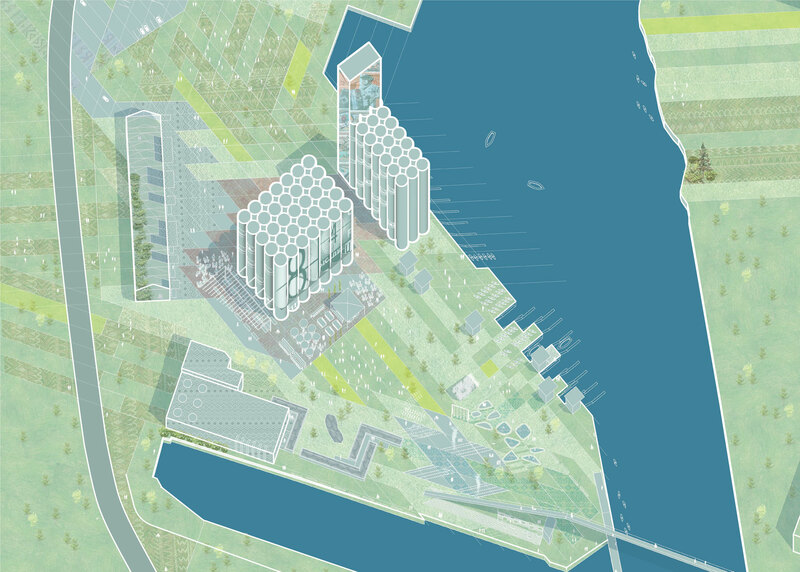 Through site infrastructure improvement and direct access, this developing space will reinstate growth of new culture, reintroduce purpose to the Silos, and maintain their iconic image. In form, they remain the same; in purpose and surface, they change. Featured in the CAF Atrium Gallery and presented as a partner program of the 2017 Chicago Architecture Biennial, the Between States exhibit will be open to the public September 19, 2017 to January 7, 2018.